Every culture has its own rules regarding etiquette. 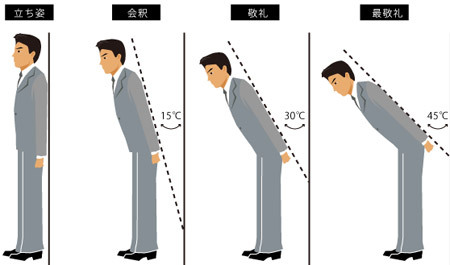 In the case of Japan, some of these rules are straightforward while others are more subtle. One of the basic concepts of Japanese society is tatemae and honne. Honne means your true feelings while tatemae is the face you present to the world. While they do not ignore their feelings, Japanese consider tatemae to be more important in maintaining a harmonious society. A good example is the different types of language used depending on who you are talking to. Keigo is respectful Japanese language used to elders or superiors, and sometimes even japanese people make mistakes with these multiple layers of linguistic complexity. Other seemingly straightforward things like seating arrangements at dinner or in a taxi are equally difficult to fathom. But Japanese people tend not to point out mistakes made by foreigners for fear of embarrassing them. At the same time, they don't really expect foreigners to adhere strictly to these rules anyway. I suppose the key thing is that making a bit of an effort to be polite and to show at least some understanding of local customs will be noticed and appreciated and can make life a bit easier. Here are some broad categories for different types of situations most people will face at some point on even a short visit to Japan.